Start a revolution in pre-event advertising when you print Philadelphia Rose Flyers before your next event in Philly. 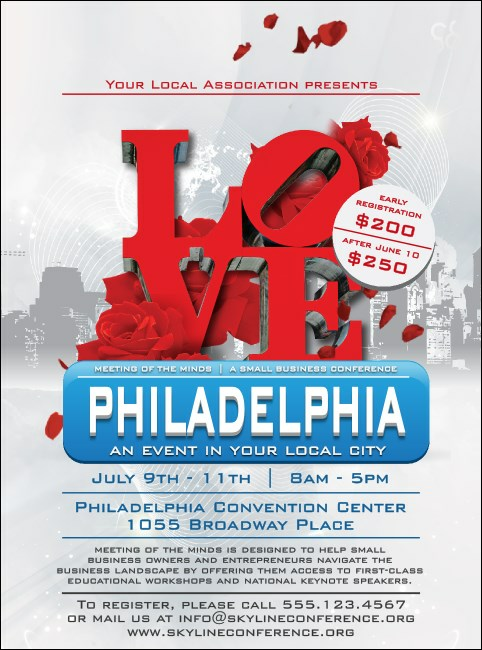 Give your promotions some local flair with Flyers that feature a brilliant image of the famous LOVE sign with lush red roses falling all around it on a background that reveals a faded city skyline. TicketPrinting.com helps you declare your event advertising a success.